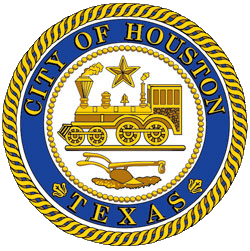 Houston - The City of Houston Housing and Community Development Department (HCDD) issued a Notice of Funding Availability (NOFA) on Wednesday for up to $100 million for the construction, rehabilitation or purchase of multifamily properties that provide affordable housing throughout the city. HCDD is seeking multiple development partners to produce a record number of affordable homes as part of the City’s Local Action Plan for long-term recovery from Hurricane Harvey. These funds will help address the needs of the many renters who were affected by the storm. The $100 million NOFA builds on an unprecedented number of tax credit awards for affordable housing concluded in December 2018. The combination of increased tax credit awards and Community Development Block Grant-Disaster Recovery (CDBG-DR) funding will result in a surge in affordable rental home development in the City. Last year, the City secured six 9% tax credit awards from the State of Texas for multifamily apartment complexes in five council districts in the city. These 746 homes will be accessible to major employment centers, including downtown. Through the Housing Tax Credits program, the Federal government provides tax credits to each state according to a competitive regional allocation formula based on population. These credits create tax incentives to encourage developers to build or renovate affordable housing. Bid proposals will be reviewed, underwritten and scored to select awardees based on a predetermined set of criteria outlined in the Notice of Funding Availability (NOFA). A copy of the NOFA is available for download at https://recovery.houstontx.gov/resources/contracting. Interested contractors may submit proposals until 3:00 p.m. Friday, March 29, 2019. Proposals should be sent to: Housing and Community Development Department, 2100 Travis, 9th floor, Houston, TX 77002. A pre-proposal conference is scheduled Friday, February 15, 2019, at 1:00 p.m., 2100 Travis, 9th floor community room. For additional information, clarification or questions, please contact Tywana Rhone at (832) 394-6204 or via email tywana.rhone@houstontx.gov.